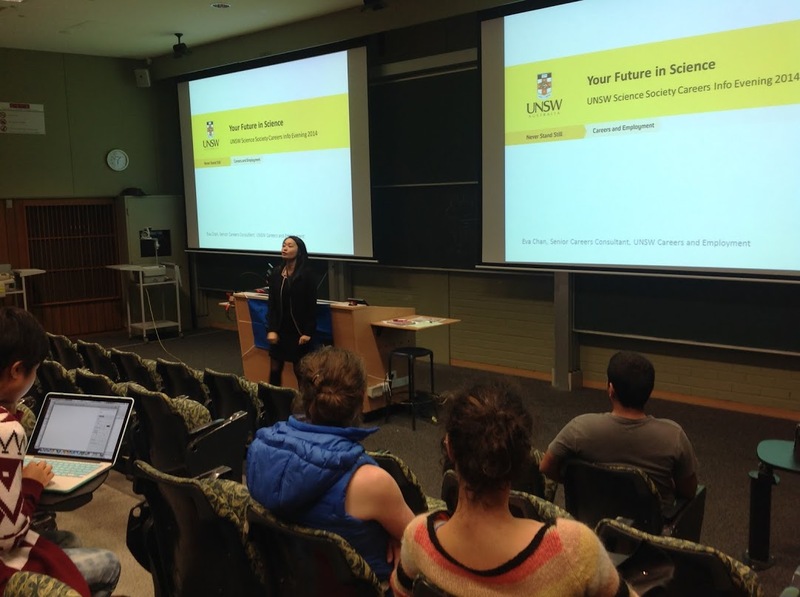 The Science Careers Info Evening 2014 (hosted by the UNSW Science Society) was held on Wednesday 16th April 2014. Approximately 50 young enthusiastic scientists attended, seeking to learn more about the connection of their Science degree with industry, and the actions they needed to take to develop a career in the areas of Science they loved. Then, Senior Careers Consultant Eva Chan gave a very informative presentation on how Science students can use their knowledge and skills to connect with professionals in the career they are interested in. She talked about identifying what you are most interested in (i.e. location, work culture, work times, perks, travelling, etc…), and then researching and asking for advice from professionals who are in the company that provided the features that you were looking for. For full details, Eva’s presentation can be downloaded from the “Files” section on the UNSW Science Society Facebook Group. Then, Scientia Professor Veena Sahajwalla gave a superb presentation (no Powerpoint slides!) on the scope of one’s Science degree in pursuing a career in industry. She spoke of; starting early and connecting with members of industry, going out on field visits or site tours to companies that you may be interested in working for, and to always develop the ‘hard skills’ (such as knowledge in various fields of science) and the ‘soft skills’ (e.g. communication, team-work, interpersonal) through a variety of work experiences, not limiting yourself just to the discipline that you study at university. After the presentations were finished, guests were invited to network with each other and with Eva and Veena over healthy sub-sandwiches from Subway and not-so-healthy soft drinks. It was great to see guests speaking one-on-one with Eva and Veena, and also mingling with each other and developing new connections. 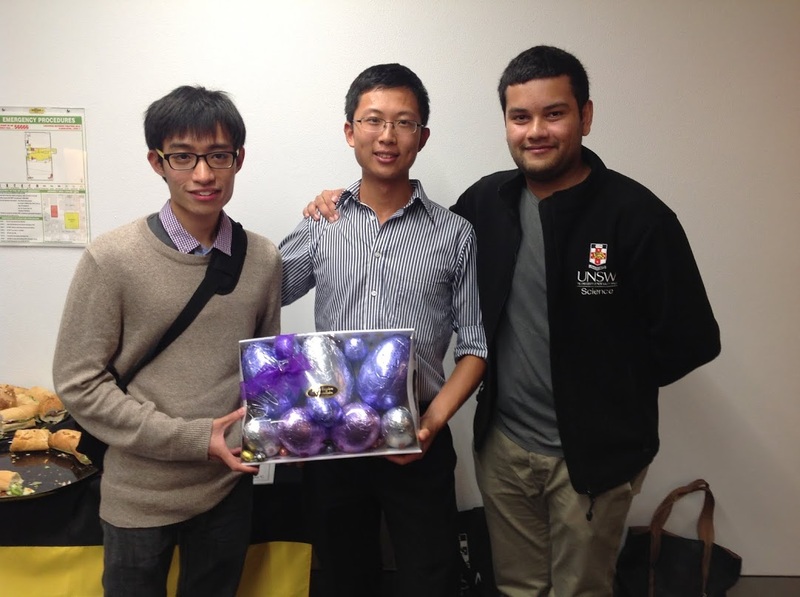 Congratulations to Daniel Tan, who was the winner of our Easter Egg Feedback Competition. He received a nice basket of Easter Egg goodies provided to the UNSW Science Society by the wonderful Carole Adamson, one of your Student Advisers from the Science Student Centre (please visit your student advisers at the Robert Webster Building if you have any issues with your program). And a big, big thank you to Scientia Professor Veena Sahajwalla and Senior Careers Consultant Eva Chan for presenting on the night. This event would not have been possible without them, nor the support of ARC@UNSW and the Faculty of Science. Keep an eye out on our Facebook Group for our future events.